Hopefully this year’s conference was an inspiration for many! We had a varied program with 3 keynote speakers from 3 different countries and 3 different sessions with workshops! The workshops were mostly lead by teachers who are familiar with using technology in the classroom! They are all experts in this area and have a lot to share. Sometimes you need to take some time to reflect on what you heared at a conference when you get back together with your own class. The questions to ask are; can I change my classroom? Should I? 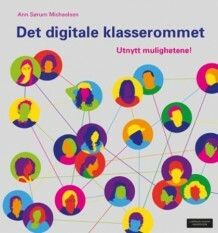 Who owns the learning? Are my students engaged and motivated? Did I make any useful connections at the conference? Did I find educators I would like to know better and learn with? What inspires me and my students? If you are looking for two keywords after this conference it is safe to say student engagement! Take some time to watch Tom Barrett our first speaker this year. Tom works with NoTosh,and is one of the UK’s best known classroom teachers, working in the primary schools sector. He curates and shares thousands of practical ideas from teachers across the globe on his blog edte.ch, and puts into practice the very best thinking on educational technology to inspire and engage children in their learning. 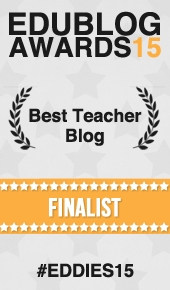 Previous Post: The Edublog Awards! I’m writing from an Italian radio station, Radio24 – Il Sole24ORE. It’s a national radio station that broadcasts all over Italy. I’m writing to ask if you can help us to find someone who speak Italian to explain in a radio interview how the idea has born and how usually you work with students. Unfortunately we need to ask if there is anyone who can speak Italian because we won’t have chances to make a translation. The interview should take place this friday 23 november, for less than 10 minutes by phone, between 6 and 7 p.m.